Every Privy plan gives you a number of ways to launch your campaign that can be used individually or in combination. The time trigger displays your campaign, based on how long a visitor has been on your site. It could show immediately when a visitor lands, 10 seconds later, or longer depending on how much content you want a visitor to read before you show them your message. 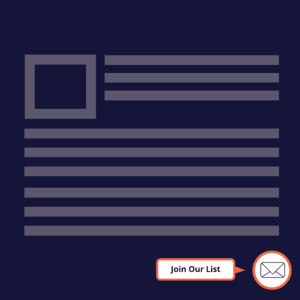 Show your campaign once a visitor has scrolled down your page a certain percentage. This is a great way to ensure that your visitor is interested before asking them to opt-in. The exit intent trigger tracks your visitor's mouse movement, and if the visitor appears to be leaving or "exiting" your site, you can use that as a trigger for your campaign. This is very useful for capturing people's information before they abandon their cart or leave your site. Privy's paid plans include powerful audience targeting capabilities that make it easy to serve relevant messages to key segments of your audience. For example you can create new visitor offers, tiered cart savers, repeat visitor promotions, and more. Learn how you can unlock all of Privy's targeting options on our pricing page. SIGN UP FREE, NO CREDIT CARD REQUIRED.